Bean sprouts are a common ingredient used in many Asian dishes. 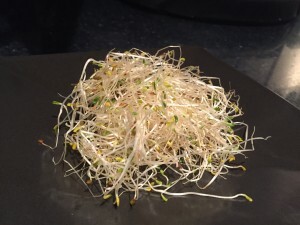 The typical bean sprout we see comes from a mung bean, though there are also soy sprouts. 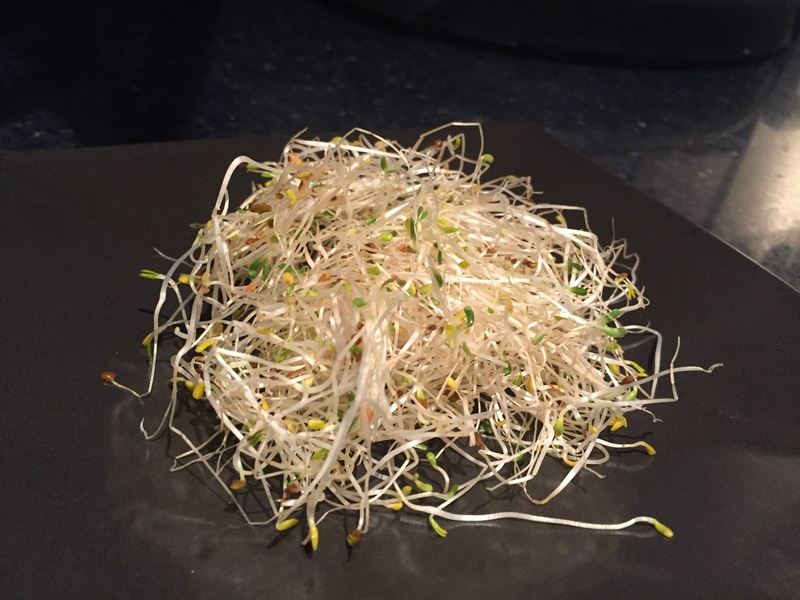 We see alfalfa sprouts in our farm shares at times as well. 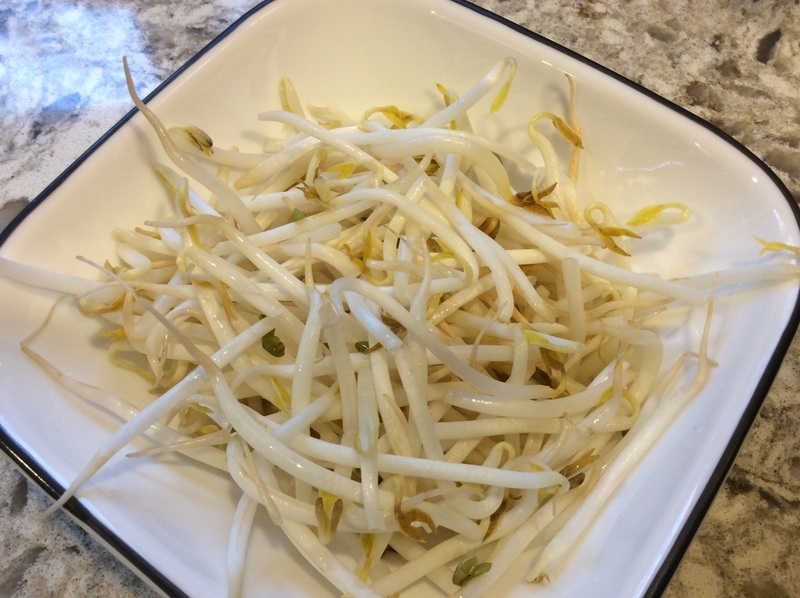 Bean sprouts can be used raw, stir fried or added at the end of a dish for light cooking. Store sprouts in a produce bag with a paper towel wrapped around the to absorb excess moisture. Sprouts have a very short life, we suggest using them within a day or two. Sprouts are a great topper to many dishes where you just need a little extra crunch. Take, for example, this BLT sandwich. You might notice that the “L” in BLT has been replaced with the alfalfa sprouts from Jonathan’s Organics that we received in our 12th Springdell Winter CSA pickup. We ended up referring to these sandwiches as BLfalfaT’s. They were yummy and eaten by a tough crowd! You can totally add whatever veggies to this dish. Maybe some thinly sliced red peppers and some scallions? Anyways, this one is easy and ready for when you get home. This is an Anderson family favorite, perfect for when the spaghetti squash season rolls around. Soy sauce or tamari can substitute fish sauce if you want to keep it vegetarian. Tamarind paste can be substituted for rice wine vinegar as well, but the real deal is best. Give yourself time to drain the tofu and make the squash, but the pad thai itself is quick to make. Bibimbap is a wonderful way to enjoy CSA ingredients of the season, as it’s very flexible depending on what’s in season. Sizzling rice topped with delicious combinations of meat and veggies, an egg and distinctly flavorful sauce in a stone hot pot (optional but recommended) is really something special. The only two pantry ingredients that you might need are Gochujang (available at Asian Markets or well-stocked supermarkets) and sesame oil, and you’ve got yourself a party! Kohlrabi is an ingredient that some people struggle with, “what do I do with this?” Kohlrabi makes an amazing slaw. It is crisp and pairs well with carrots. Throw on a simple dressing…go ahead, try this one. From a fellow blogger at “Beyond Kimchee” and brought to my attention by a fellow Springdellian, this recipe uses the sprouts as a canvas on which to paint a masterpiece of great flavors. You’ll take a trip through the land of salty, spicy, garlicky and nutty. It calls for Korean chili flakes and soy sauce, but I was ok with cutting corners and using what I had in the fridge and pantry, with no regret. A hearty Meatless Monday dish, full of veggies that have known to be unpopular to some. Inspired by fellow blogger Andrea Lucas whom in turn was inspired by the sweet curry sauce at Life Alive in Lowell, this little number packs a delicious punch. This combo has been found to be most enjoyable to even the most discernible palette in the Anderson household. Play with the veggies and we hope you like it, too! 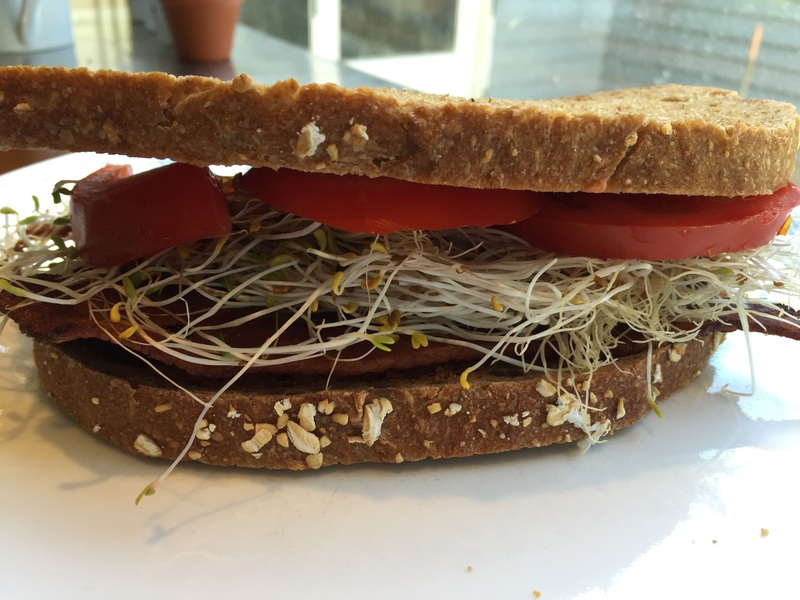 Thanks to Fellow Springdellian Dawn DeMeo for sharing one of her family’s favorite use for the mung bean sprouts from the Winter CSA! A gluten free soy sauce is necessary in this recipe, you can use tamari sauce. Other great veggie options for a stir fry include: peppers, scallions, broccoli, bok choy, water chestnuts, pea pods, sugar snap peas. Be creative, stir fry is like a blank canvas! A good one for meatless Mondays, this one uses tomatoes, garlic, cabbage, sweet potato, and onions. You can use bean sprouts, chopped cilantro, scallions, mint and/or Thai basil for garnish of the soup, so you don’t necessarily need all of these on your farmstand grocery list to make this hearty soup. It’s thick and rich and hearty with the help of some peanut butter, you won’t miss the meat. Whenever fresh lettuce is on-hand, lettuce wraps are a great way to enjoy it! Leave the prepared lettuce leaves on the table with an assortment of fillings, and watch things disappear! Stir fry some hearty mushrooms, beef, or other protein to make it a main course.